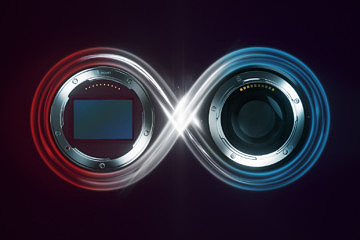 With the recent string of successful camera and lens introductions over the past few years, Leica has made the process of choosing a camera much more difficult. In the not-so-distant past, certain individual systems outshone the rest for different applications. Decisions were straightforward. But now? The Q, TL2, CL, M10, SL and S007 are all incredible cameras, each extremely capable in its own right. So, how do you pick just one? Admittedly, I don’t have an easy answer, and continue to struggle with this very conundrum every time I prepare for an outing. After a decent amount of debating pros and cons for each scenario, along with some serious soul searching, I do end up making up my mind. And while I have spread the love across a variety of systems over the last two years, my most used camera system during this time has been the Leica SL. Paired with the outstanding 24-90 zoom, the SL is simply a go-anywhere, do-anything combo. It’s fast, it’s fun and the images are stunning. The 4.4MP EVF is a pleasure to use. No lag, no delay, no blackout. So, the SL has become an easy go-to for me. For added flexibility, I’ll add M lenses for low light or ultra-wide capability, which often means throwing a 35 Lux or 18 Super-Elmar in my bag. On a week-long vacation to the Southwest in October, the SL was my constant companion. With the 24-90 plus the 18mm M lens, I could do it all. And with weather sealing to boot, the camera joined me on all my adventures. Canyoneering in Zion with 60-foot rappels, driving high-speed ATVs through the desert in Lake Powell, exploring Antelope Canyon, and hiking down into the Grand Canyon from the North Rim were all no problem. The 24-90 zoom made easy work of most situations, as the focal range provided a good variety of perspectives. And, not having to stop to get into my backpack to change lenses allowed me to keep moving. Okay. No surprises or new information here. The SL is awesome (You can read my full review here: Leica SL (Typ 601) Review: A Professional Mirrorless Camera). 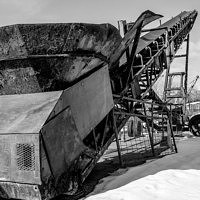 And, while this article is about my thoughts on the future of the S-System, I think that the perspective of the SL is important to the discussion. Using the two systems one right after the other makes clear to me, in spite of how often I use the SL, why the S is still superior for certain applications, and what might make it even better in the future. Because scheduling was tight, I didn’t have a chance to return home after our Southwest adventure. 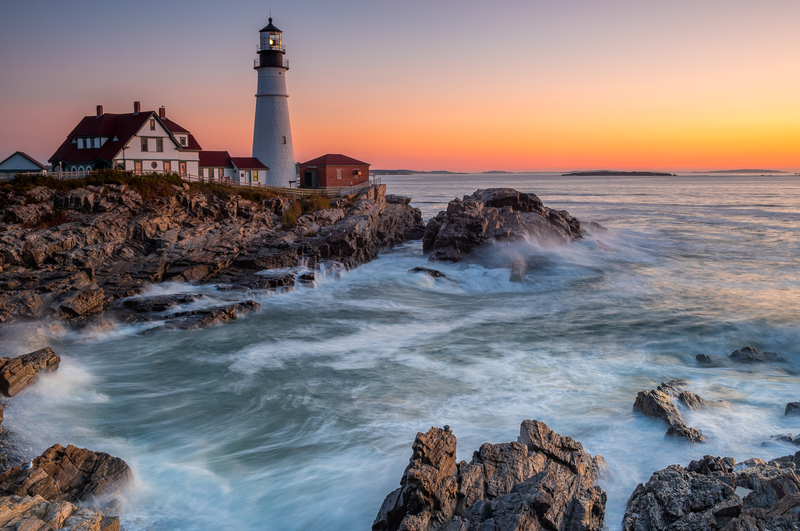 I’d have to fly directly to Maine, gear up and lead two back-to-back landscape workshops. So, I swapped out the SL and zoom for the S007 and a backpack full of S lenses. Why? Simply, because it puts the SL to shame for landscape photography. The SL is certainly no slouch when it comes to image quality, matching well to the output of the M10 and the Q, both superb performers in their own rights. But the S just moves that bar a lot higher. And it’s not just the additional resolution. The color out of the S is gorgeous. Only the recently released M10 equals it. Per pixel acuity is staggeringly good. The S lenses are amazing. 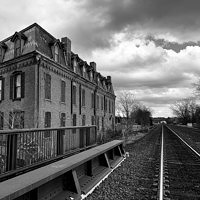 An insane 15.3 stop dynamic range allows for single shot HDR in Lightroom, easily handling scenes that would require exposure bracketing and multi-frame blending in post on the SL. Then there are the lenses. Oh, how I love the S lenses. My favorites are the 45 and the 120. And the 30. And the 24. The 180 is pretty killer too. And the 100 is lusciously creamy. The 35 is great for walk-around. As is the compact and lovely 70. Ok, I literally just named all the S prime lenses. Asking me to pick favorites is like choosing between my children. 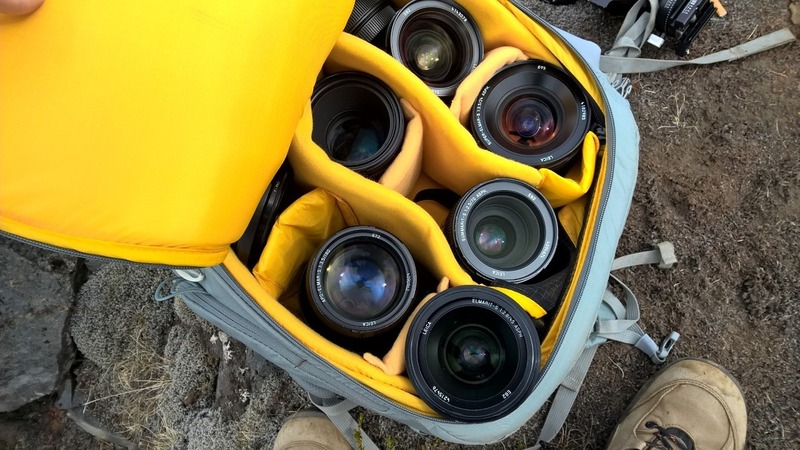 I don’t struggle the same way when paring down M lenses, as I have definite preferences. But, on the S, I will carry almost a full complement in my pack. 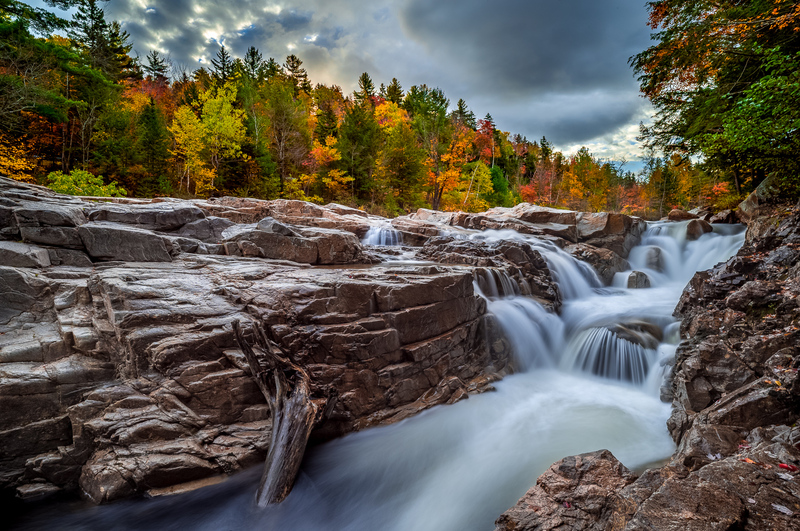 So, how did it perform for fall foliage in the White Mountains and along the Maine Coast? Again, no surprises here. 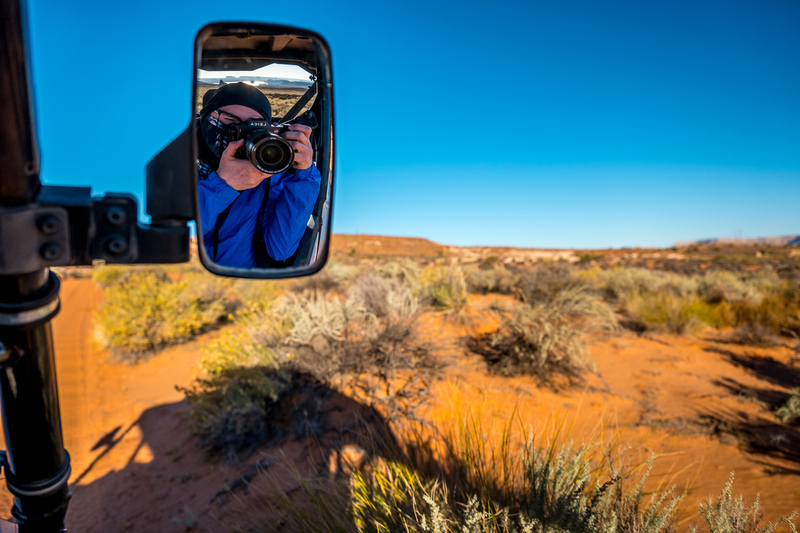 The S007 just dominates landscape photography, while the ergonomics make the camera such a pleasure to use. As amazing as the EVF is on the SL, using the optical viewfinder of the S is like coming home. Big, bright, clear. A perfect window to the world, rendered by whatever delicious S lens graces the front of the camera. And the images. So much detail. Unequaled malleability in post. Colors rendered represent the best part of reality, riding the line between accuracy and artistry. Back in August, I also relied on the S007 for all my photographic heavy lifting. 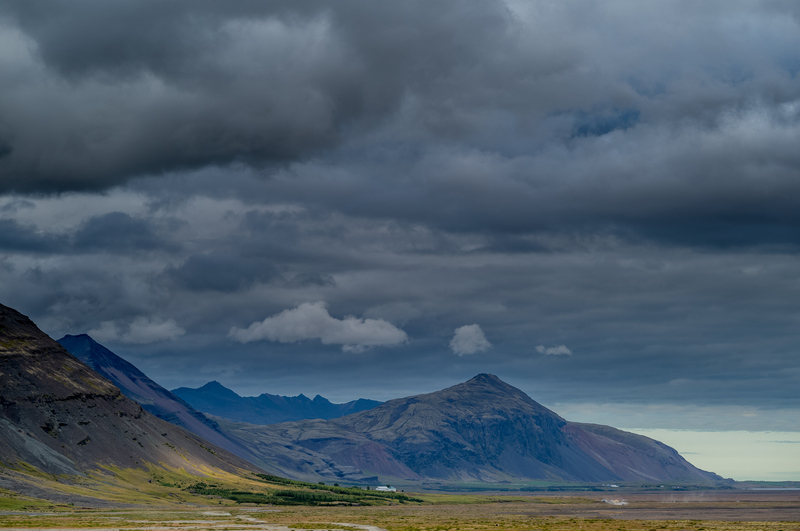 I co-led a workshop to Iceland for ten days, knocking out 4,000 shots. And while it seems almost impossible to take a bad picture in Iceland, I felt my images from this recent trip were so far beyond what I came home with from my first time there. My biggest challenge upon returning home was (and still is) whittling down my first-round pick count from over 800 keepers to something a little more manageable. With the hyperfocal readout on the top display, DOF is no longer a guess. High contrast scenes are easily handled. And, of course, the S is as rugged as they come. My 3-Series Gitzo got knocked over when we got slammed with an unrelenting 40 MPH wind during an early morning shoot in the Highlands, with the S taking a dive into the rocks and mud. After a quick water bottle bath in the field, the camera was as good as new. Besides the amazing locations, the camera system deserves some credit for assisting me in averaging over 80 keepers per day. 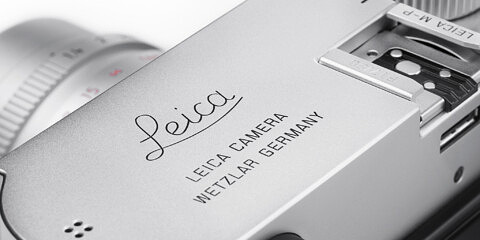 What about the next generation Leica S? The S007 continues to impress me, and remains my favorite system for landscape photography, but now that the camera is a little over two years old, many have started wondering what the future holds for the S System. 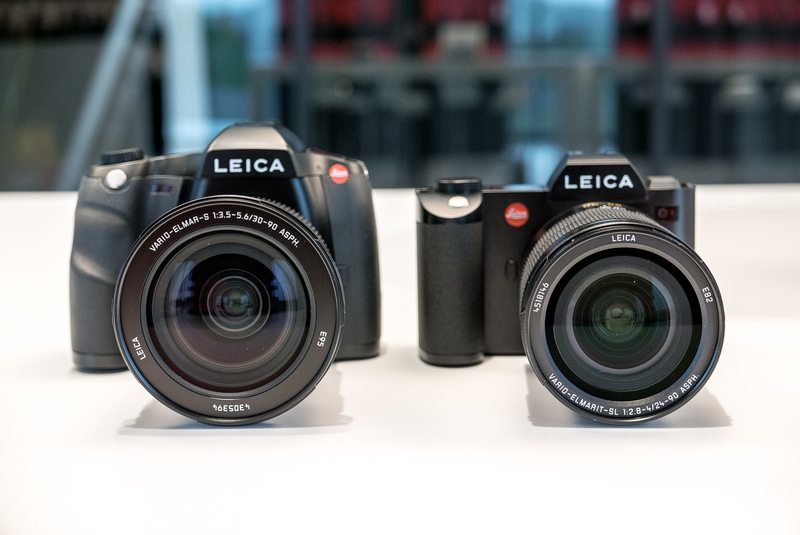 I’ve increasingly heard concerns that Leica is “abandoning” the system and that there has been no activity. Well, I suppose apart from firmware updates, this is true to an extent. Not the abandoning part, but the stagnation aspect. The lens line is complete. So, I wouldn’t expect any development there. And, the camera has only been on the market for two years. The M240 was around for four years until the M10 was introduced. No one worries about the future of the SL. Yet, it too, shares the same 2015 vintage as the S007. So, while I don’t think a new S is exactly around the corner given past product life-cycles, we certainly can speculate what a future S camera might look like. No harm in some wishful guessing, right? 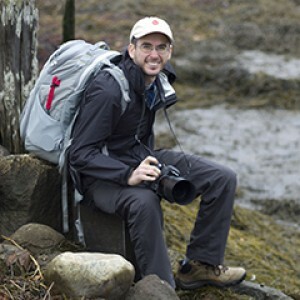 I’m going to lay out my wish list for the next generation Leica S. Follow along with me and vote on the mini surveys I’ve put in for some of the more significant items. At the end, there is a poll where you can select from a summary of all possible features. But, three years later, I’m hoping that Leica has figured out how to squeeze more pixels in the next S without sacrificing performance. Now, for the math that makes pure speculation seem more legitimate. A 20% increase in linear resolution would take the S sensor pixel dimensions from 7500 x 5000 (37.5MP) to 9000 x 6000 (54 MP). A 30% increase would take this even further to 9750 x 6500 (63 MP). Having spoken to many S users over the last few years, I’m sure that a 54 or 63 MP sensor at the heart of an S camera would scratch that megapixel itch. What do you think? 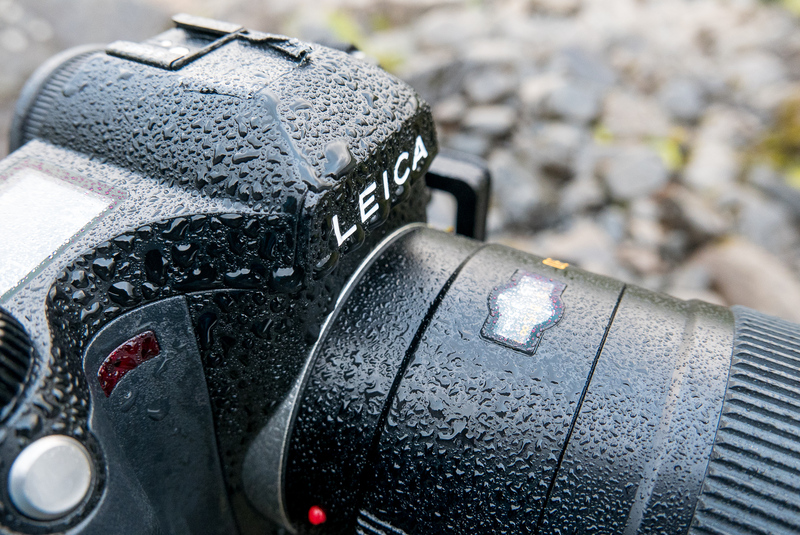 What resolution sensor would you like to see in the next generation Leica S? Naturally, I’d love to see the higher resolution sensor maintain clean ISO 6400 and still deliver 15.3 stops of DR. I wouldn’t complain if either of these specs could be improved upon, but I’m satisfied with both. How about you? If we assume that we’re all good on the sensor side, we can safely say that the S lenses are certainly up to the task. But what about processing speed? You see, even though the linear resolution would only see a 30% bump assuming a 63 MP sensor, the resulting pixel data would increase by a whopping 70%. Could the current Maestro II handle this volume of data with no change? Well, the current processor in the S007 can crunch through 320 megapixels of sensor data per second. Even at 63 MP, the camera could theoretically still offer a frame rate up to 5 fps. This assumes that the sensor readout could keep pace. Nonetheless, this is impressive, considering the Maestro II is going on three years old. 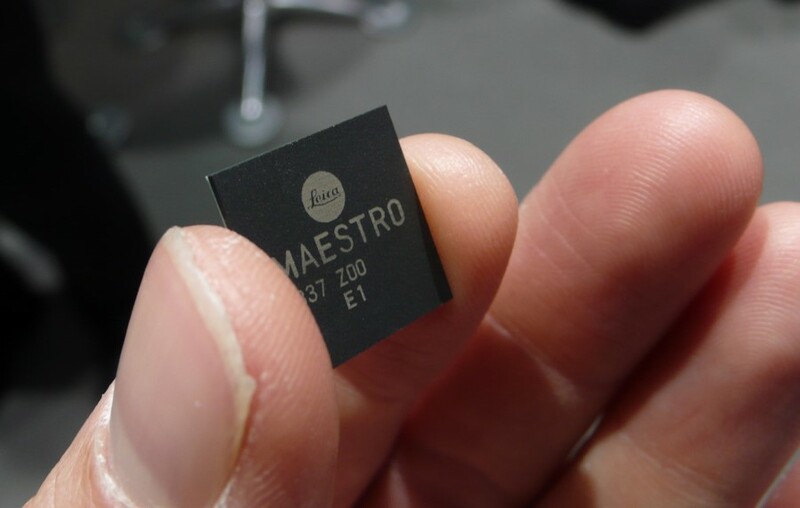 Ignoring how good this current hardware is, for the sake of discussion, let’s also add a Maestro III processor to the wish list, guaranteeing that all shooting and playback operation are as instantaneous as possible. Agree? I need more speed! Make it as fast as an SL. And with the increase in megapixels, I’d like to see the buffer memory upped from 2GB to 4GB. This would allow for longer continuous burst shooting. I’d also love to see the 3” touchscreen from the SL find its way onto the back of an S. When I switch to the S007 after using the SL for a while, I will invariably attempt to double-tap the screen to zoom during playback. Of course, nothing happens except for feeling stupid. As we see more Leica cameras incorporate the hybrid touch interface (SL, Q, CL, TL2), it seems natural to extend this to the flagship S. Would you like to see a touchscreen like SL on a future S? 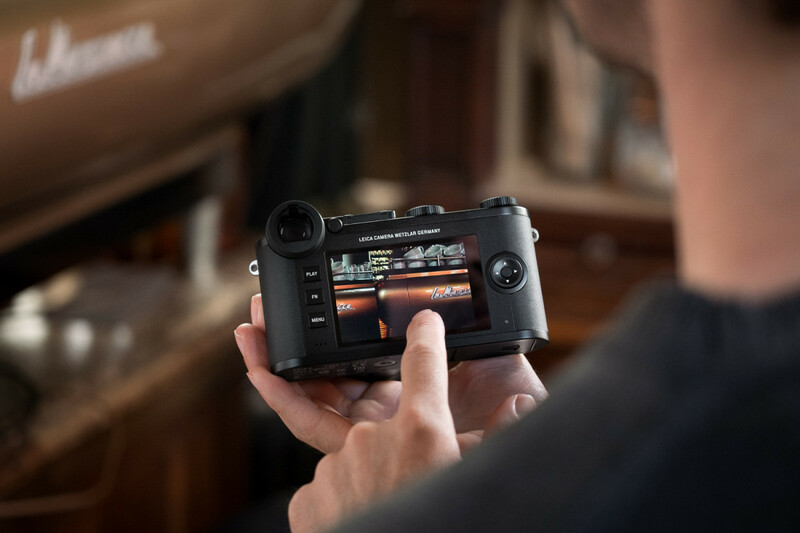 The CL now makes four Leica cameras with touchscreen. Time for the S? Lots of pro shooters rely on tethering for their photography. Moving to the latest standard of USB 3.1 Type C would go a long way to improve that experience, allowing for significantly faster transfer rates. If the same port could supply power to the camera, which the spec allows for, even better. I personally don’t use the S for video work. The SL is just so much better suited to fill that role. But, the prospect of a large frame video camera with S glass is still appealing. Upgrade to HDMI 2.0, offer full-frame 4K or 5K capture at 10-bit 422 and you’ve got something really interesting. Moving to a faster SD card spec seems like an easy one. In fact, change the mixed SD/CF card combo of the S007 and migrate to the twin SD configuration of the SL. Make both UHS-II if possible, allowing fast throughput for mirrored DNG shooting. One of the few annoyances with the S007 is that the sensor is a dust magnet, especially with my frequent lens changes in some inhospitable locations. A self-cleaning sensor might not eliminate this issue completely, but it should help. With the fastest S lens coming in at f/2, the S doesn’t need as extreme shutter speeds as the SL or CL, but the option of a silent shutter could come in handy in many professional applications. With E-shutters on many current Leica models, this should be doable. As a landscape camera, I often want to use longer exposures than the S007 allows me too. Give me 30 minutes at base ISO, and 30 seconds at ISO 3200 and I’ll be happy. Also, give the option of disabling long exposure dark frame subtraction. That feeling of watching a rapidly changing sunset vanish as you wait for the “Noise Reduction” message to clear? Yeah, I could do without it. 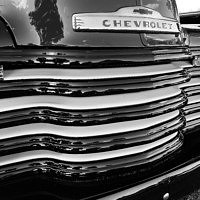 Body Design – I love the S camera body. It is one of the most comfortable cameras to shoot. Very ergonomic with almost perfect balance in the hand. Viewfinder – Why mess with the best optical viewfinder on the market? Exactly. Dynamic range – I’ve been spoiled by the 15+ stops of DR on my S007. I’d hate to give up ground here in favor of resolution. Color – The colors out of the S are gorgeous. Keep the rendering. Okay, if it needs to be changed, M10 rendition would be okay, too. Battery – Keep the same Typ 007 battery for maximum compatibility. Top display – The S007 and SL share the same monochrome LCD top display. It’s great for info at a glance, with easy readability in both bright sunlight and at night. Speed – The S007 is the fastest MFD camera on the market with a frame rate of 3.5 fps and instant playback and image zoom. Let’s keep it that way. I know a lot of people want to see Leica come out with a mirrorless S body using the same EVF used in the SL. I’m split on this one. Shooting with the SL is such a joy. Being able to see your picture, before you take it, is a great experience. As is zooming in to 100% to check focus. But, that optical viewfinder on the S is so, so nice. Am I old fashioned? Perhaps, but I’m also quite comfortable with EVF shooting. And maybe Leica will indeed move to EVF as they feel more pressure from Fuji and Hasselblad’s mirrorless offerings. Honestly, I could probably be happy either way. But, the EVF experience would have to be like the SL, and not the Hassy X1D, which has over a one second viewfinder blackout and laggy display. Leica specifically waited out the mirrorless game until they had all the necessary tech to make EVF shooting as seamless as optical. Anyone who has used the SL can attest to this. There are other considerations to think about as well. A move to mirrorless would require yet another line of lenses, as well as an adapter to work with existing Leica S optics. And, battery life would most certainly suffer. On the S007, I can go nonstop for a full day in the field with just one battery in the camera and a single spare in my bag. With the increased power requirements of live view, I’d probably need three or four at a minimum. 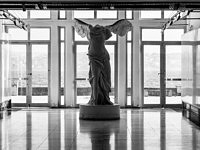 What are your thougts on a mirrorless Leica S? Don't take away my optical viewfinder! I suppose we will have to wait and see where Leica decides to take the next S. I’ve outlined my wish list here, but take it all with a grain of salt. While I am intimately familiar with the S System, I have no idea, or inside info as to what Leica is planning for their next medium format camera. What do you think the next S should be? Vote on the mini surveys I’ve sprinkled in the article, the aggregated poll here, and leave a comment to let me know your thoughts. Nice of you to let us give feedback in your polls. A quibble: You said the lens line up is complete. At the initial announcement many years ago they showed a 350mm S lens. I do not believe the line up is complete until we see something beyond the 180. I voted for 80 meg resolution as long as Dynamic Range stays 15+, but for marketing reasons. Going to 50 is OK for me but for someone entering the system they will care m ore. Me, I print 90”x60″ as is, so higher resolution just allows for cropping. I hope they will delay this next camera until they can get to 80. I will probably be able to see a difference in a print then. Going to a mirrorless S would have been fine if there never was a reflex S. Then as they built the lens system they would be set. I believe going forward that optical viewfinders will be unique viewfinders and it would be nice for Leica to have one of the few. But this is a pro system and if other pros want mirrorless, then Leica should go in that direction. I will prefer to stay optical in part because I have lenses for optical. For me, other than a long lens on the S, I am happy with the system. But to keep current owners and bring in new owners they must progress. They keep surprising me. I totally agree. How can any system be considered “complete” when the longest native focal length is the equivalent of 145mm in full frame terms? I wrote many times to Stephan Schulz about this issue and Leica’s failure to follow through on the lens roadmap they issued at the system’s launch all those years ago, even to the point of suggesting the compromise of a matched tele converter for the 180mm lens, and eventually received the response from him that, despite many individual requests for such a compromise, Leica had decided that there was no return on investment for them and that they would, therefore, not pursue development of a longer focal length alternative for the S system. That, to me, was the nail in the coffin and the indication that the S system was in its end of life cycle and would receive no more investment and development from Leica, the future being obviously seen by them in the SL system. As a consequence, I have sold off my S equipment, after many years of devoted Leica camera usage. Why continue to flog a dead horse? 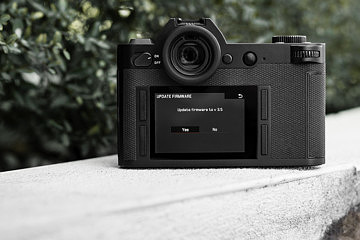 As we’ve discussed at the NH workshop (which was terrific, btw), one of the biggest reasons I didn’t go with the Leica S system (and opted for Phase One) is the after sales support. After I damaged my Phase on that trip, I sent it back to DT and Phase sent me a loaner of everything that was damaged for the entirety of the time they needed to be serviced. Everything is as good as new now. I also decided to trade my 50 mp back for the full frame 100 mp Trichromatic back, so having a generous upgrade program is also important. I have owned the SL (now sold) and I have an S006. Since owning both camera types, I have felt that the future would be a merger of the two systems. SL body and 4K or 5K EVF with S-size sensor. Lenses from the SL and the S via adapters on this new, unified body (that is if Leica ever ships any more SL lenses; otherwise the S lenses are more than sufficient). 75-100MP sensor and a processor and buffer that would enable 8-10 shots per second for up to 100 shots. Finally, S006 color rendering. My 2¢. Thanks for the opportunity to comment. Are you listening Wetzlar! Very important to get improve sharpness system, the S007 works very slowly, both the house and the lenses, and is important with multiple sharpness points in the viewfinder, such as on SL. I appreciate your thoughts and polls on this topic. One thing that I would like to see improved that you didn’t touch on in your article is a better rear display. I would like to see a rear screen with better dynamic range, color, and brightness. Please add a touch to focus tilt enabled articulating screen & something similar to eye auto focus that would be awesome for fashion or portrait shooters. Please renegotiate with Capture One for fast tethered and raw file support. Adobe is unreliable and slow to implement updates to support the S system, I would’ve fired them long ago, there’s got to be a better software solution. – no EVF! In today’s market, there is nothing like the split prism viewfinder of the S, or the OVF of the Hasselblad H series. Let’s keep it that way, EVFs are not the same. I don’t want to look at a television that flattens the scene – not the same shooting experience. – I would have thought that in camera sensor stabilisation would be the most valuable add – an ability to add 4-5 stops handheld without increasing ISO would be very, very welcome. I have to admit that I am surprised that people are concerned with ISO 12500 on a medium format SLR…also that so many want mirrorless. The optical viewfinder and direct connection to the subject matter is quite important to me, and if you want EVF there are many other options. In addition to not feeling like I am looking at the world through a TV screen, the OVF also makes it much easier for me to work at night, where an EVF camera destroys your night vision every time you bring it to your eye. My ideal S camera would an 80+ megapixel version with S006 color and detail. 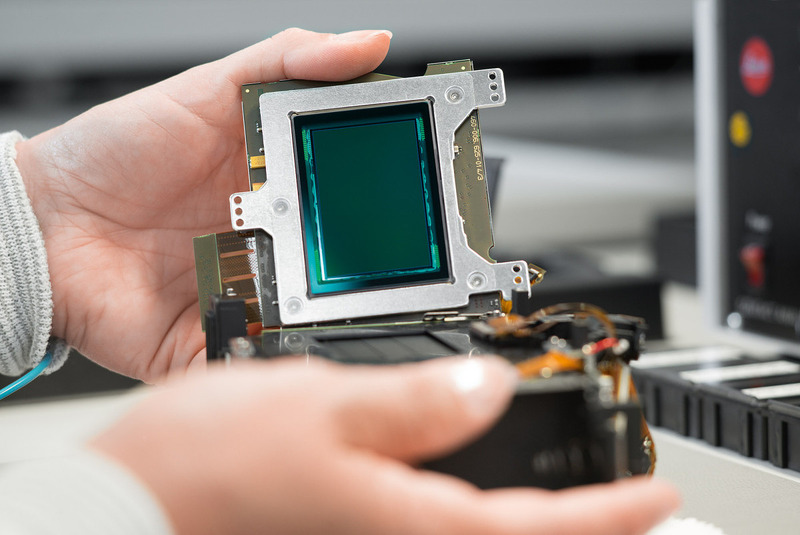 CCD is fine, but I know that it will have to be CMOS. Live view and 4k video with Sony A7S/RIII quality would be ideal, but not expected. What I think we will see is a 50-60mp 007, maybe with some sort of touchscreen and a stop or two higher ISO. This would not be that interesting to me, but I would consider it based on the resolution bump. There’re some people who genuinely prefer an EVF to an OVF, even the superb one on the S, but I suspect more people actually just want less bulk. If Leica could release more lenses — or just ONE more, a wide-ish one — that don’t incorporate a CS shutter (like the Summicron-S 100) that’d help. How about a tethered computer/tablet in live view. You get a larger screen (4mpixel ? ), possibly display a full image AND an enlarged segment of the image, live histogram, be able to adjust brightness, etc., etc. I hope they do come with with a S 008 or whatever they end up calling it so I can upgrade to the S007 at a reasonable price. Im still sitting with my S 006 which has almost now monetary value anymore, yeah I can trade in for a new S 007 for under 10K yet I feel that is still to much money. I was considering switching over to a newer modern Fuji or Hasselblad system, yet what keeps me hanging onto my S is the durability and of course the lenses..
EVF would be nice yet I don’t see that happening any time sone. I tilt screen would be nice but yet again I highly doubt Leica will ever do that. As a current SL and M10 user, I almost abandoned the SL for the Fuji GFX in lieu of their recent sales program. Why? The lethargic roll-out of the SL lenses. I am extremely disappointed in the progress on this front whilst we see the introduction of the TL2, the CL, the Chamber, the 28 Summaron and the 75 Nocti. Really Leica, there’s more demand for a 75 Notch than the 16-35 SL lens every landscape photographer has been waiting for. I realize this post was to be for the next gen S, but they can’t even get lenses out the door for the SL. 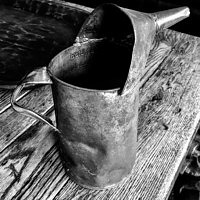 What hope is there for another medium format system? I think at this point in time it’s all fairy dust. Myself, if I don’t see that 16-35 as promised in April, the SL is gone and I will be moving to the Fuji GFX. Sorry Leica, I bought into the SL system with the expectation that the lenses would roll out within the timeframe initially promised. More fool me. As you might have seen in today’s news, the 75 and 90 Summicron SL lenses are going to be shipped within the coming weeks. And, the 16-35 SL is still slated for April. I’m with you that the 16-35 should have been top priority, followed by the 35. The lack of an ultrawide is frustrating, but just like the rollout of the S lens line, it will soon be a distant memory. 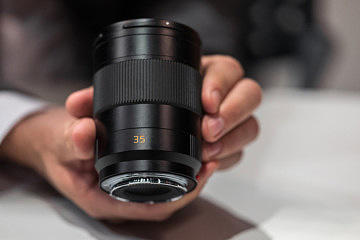 Just like the S, it seems that the SL lenses will have no weak links. 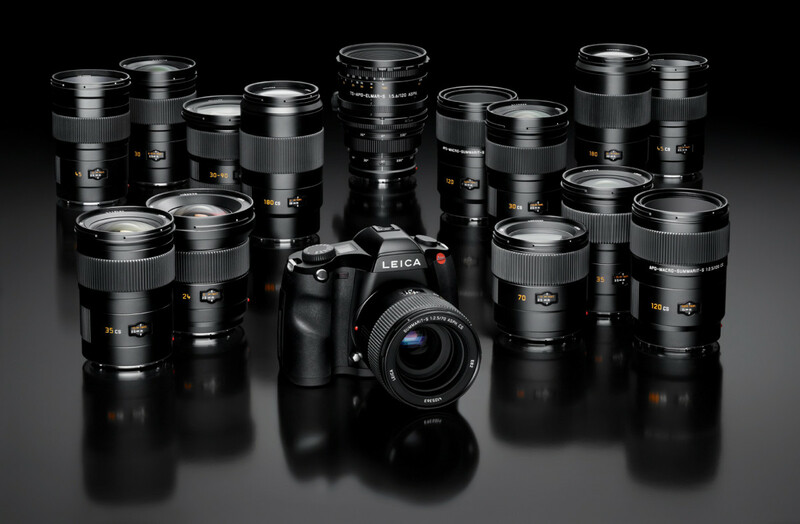 Yes, Leica has rolled out quite a few new products over the last year. The TL2 and CL are a deliberate move to attract a new audience to the brand. 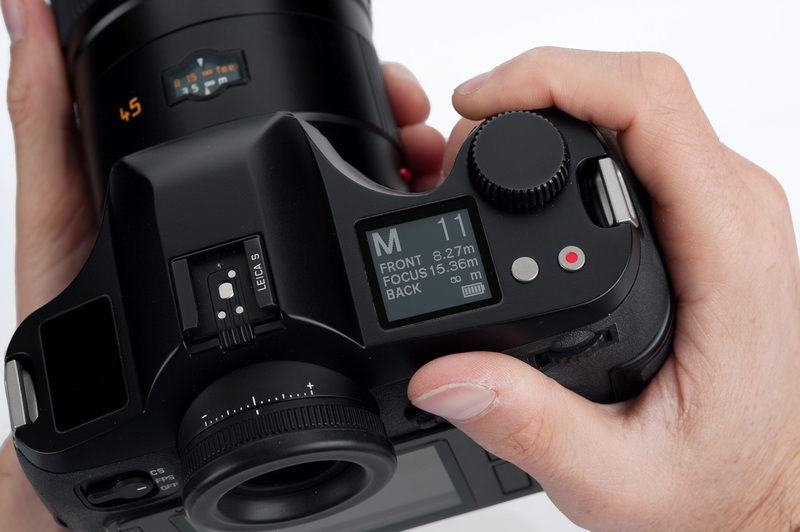 For first time buyers, these APS cameras offer an achievable gateway into the Leica universe. This is good for the long-term health of the company, which is good for all product lines. And it was actually advances made for the TL lenses that lead to the current crop of SL optics. So, there is always benefit to global innovations. I agree that niche products like the Thambar or Summaron reissues seem like distractions, but these are in parallel, not instead of. I view these more in line with special editions, in terms of the resources they take up. I’d say that the scramble to deliver M10s to market over the last year was probably a much more significant factor. The M10 was on perpetual backorder for 11 months after introduction, even at full manufacturing capacity. Now that that demand is mostly caught up, Leica can shift gears a bit. Personally, I’m very excited to see what Leica has up its sleeves for Photokina, fairy dust or not…. Hi David – Great reviews as always. 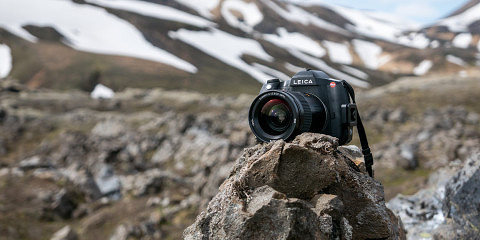 One issue I always had with the Leica S was that although it felt like a 35mm camera in my hand, and was billed as “that bridge connecting 35mm usability with medium format resolution”, it never performed like a 35mm at all. People photography was nearly impossible unless the subject was absolutely stationary. Focus was doggedly slow. Frame rate fine but not super. 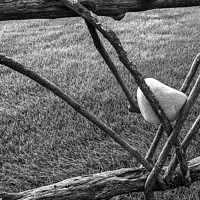 I think you hit the nail on the head when you said the Leica S is a fantastic landscape camera. Having said that, if I was looking for a great landscape camera it still probably wouldn’t be the S. As much as I shudder to say this, I’d probably go mirrorless now. Camera shake would be minimized: no medium format-sized mirror swinging up and down, and the body size would be inherently smaller. S – Landscape camera is – mirrorless, 100 mp. 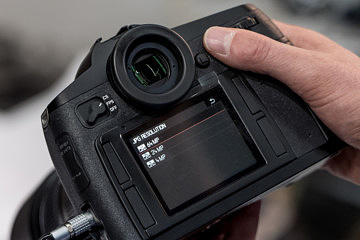 S – Commercial camera is – faster auto focus, faster motor drive, mirrorless. Thanks for you feedback. As far as mirror vibration, take a look at the slow speeds I was able to use the S007 at for night photography. Thank you for your insightful content for the S system. It really started me thinking about what I would like to see in the next iteration if any. 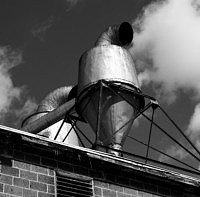 I shoot a lot of architecture (interior and exterior) reportage style (no tripods) using the 24mm. 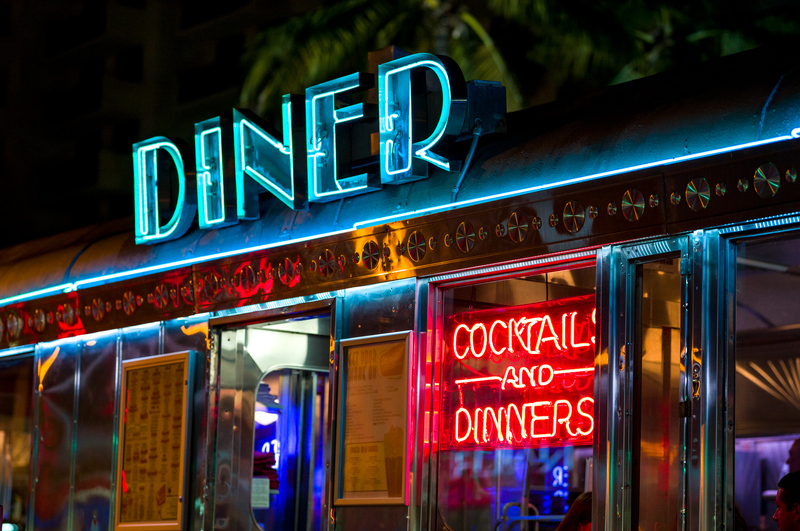 With its bulk, weight and shallow depth of field, it has been a challenge as you can imagine. I occasionally try to shoot my children with my 100mm, with very little success for a similar reason (I know it’s not a bright idea to attempt). I do agree with most of your “like to see” list. But my priorities may be different due to the way I use it. I need to be able to shoot dark, high contrast indoors handheld with minimum noise and maximum color accuracy. 1) EVF. I am in my 30’s, and other than a rangefinder, the S007 is my first OVF. From this experience and trying the SL, I do not see much if any advantage of an OVF over the EVF. Of course, a hybrid would be nice if it must have a mirror, where the mirror up mode enables the use of the EVF somehow (use the back of the mirror?). As others have said already, focus zoom to capture the focus with that shallow DOF 100mm, would be very helpful. 2) Image Stabilization. Due to the slower lenses (relative to 35mm), large mirror, and ok high iso performance, shooting dark indoors handheld (many places prohibits tripod these days) is really challenging even using the 24mm. From the history, it’s the least likely thing to be included by Leica, but this would help me concentrate on the subject than place my mind on the shutter speed and shake, provide flexibility to the DOF and style of a photograph to take. Not to mention a sensor cleaning as a bonus. It would also allow me to purchase other lenses I felt were too slow for my use, and the first Medium format camera to have it. 3) Mirrorless. Like the SL, it allows for a lighter body (please only shave off the mount, and keep the rest of the body design as is! That flat look on the SL is like a mockup, and that grip is horrific), and flexibility. Not to mention develop new line (generation) of S lenses to sell, but in the meantime, with adapters, allow for SL, M, R, TL lenses to be used for those wanting some lighter lenses at times. 4) Better sensor (ISO) performance. It’s just me it seems, but I prefer to keep the current MP, or even less if it means to have better sensor performance. More MP would require more tripod to shoot it right, the files are huge to process (cropping is helpful too). 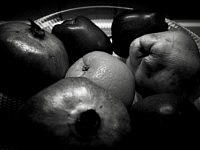 If the new sensor can handle better contrast situations without blowing out the light and recovering the shadows more than any Medium format camera out there, that would also allow for low light shooting helping the slower lenses. This makes more sense for this relatively compact system in the market to me for this to be unique and easier for those new to the segment to come into relative to the competition. 5) Faster focusing. If that is physically possible. To be able to capture a running 3-year-old with the 100mm would be worth the upgrade alone. Then again, autofocus is not Leica’s strong points, so no expectations here. 6) Please get rid of this rubber that peels off every summer, and the eyecup that tears easily! 7) A standard USB connection, as well as a standard mic and audio jack, would be helpful so I don’t have carry separate cables along. Sounds like I just need to purchase the Sony A7RII. But then again, it does not have that medium format rendering, and that means goodbye to the amazing lenses….Or I could just wait a little longer for an adapter to use my S lenses on the X1D. Accept medium format as they are, or is there hope out there? It’s a lovely camera but the cost makes it well beyond practical for many. What I would really like is an SL with the CL sensor in it that can use the TL lenses natively at 24MP as well as all the other lenses cropped – or a full frame SL that has a 42MP sensor, thereby offering cropped images with TL lenses at around the 16Mp zone. The SL body is awesome but, as a travel photographer, the weight of a full frame SL kit is just too much (never mind the cost!). If anyone from LEICA Gmbh is reading the comment section on this article here are my two biggest wishes that would make my professional life the happiest one one could wish. And you could/should implement them to my S007 or make a marvellous program where you buy back my camera so that I could afford to buy the new version for peanuts! 1) interlaced frames for all movie formats (and more options on these formats). I bought a S007 also for its 4k capabilities. 2) THE MOST IMPORTANT ONE: a goddam good software, even better than Capture One (that I use), so that the tethering goes wildly smoothly, dreamendessly (new world) smoothly, ZE powerhouse in my Mac Pro, the best friend of my dear and loved one, the missing link, the thing that you ZE germans are able to produce, where we can do everything: treat photos, grade videos, export images so great that you ask yourself why are all these people using Fotoshopé? Except that, I’m fine with my S.